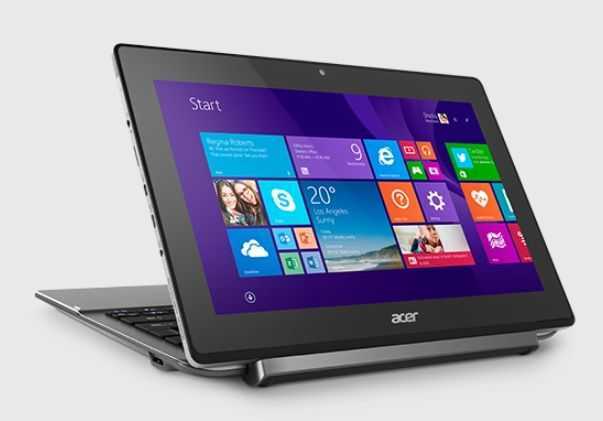 Acer Aspire Switch 11 to get 'V' refresh later in 2015. Core M Confirmed. Update: The database now contains all the specifications we’ve discovered from press, hands-on and images. Keep an eye on the Switch 11 V specs for updates. Most of these are unconfirmed by Acer though. Update: Liliputing has confirmed that this will come with a Core M CPU. See the hands-on video below. 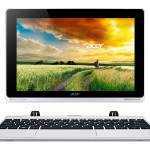 Acer have also confirmed that there’s a digitizer layer. A ‘active stylus’ will work with the Switch 11 V. There’s an aluminium rear to the tablet which is a good sign that Acer are designing to high-end Intel Core M thermal requirements. The keyboard will be available with additional storage options – up to 1 TB. Our list of Core-M based laptops and 2 in 1’s shows only three other Core M products with an 11-inch screen. 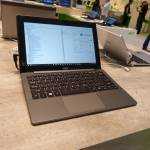 The Lenovo Yoga 3 11 is a single-unit convertible and the Lenovo Thinkpad Helix 2 and Hp Elite X2 1011 G1 are higher-end models so there’s definitely space for the Acer Aspire Switch 11 with a Core M processor. 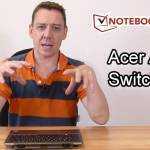 An Acer Switch 11 with Core M has already been found by TabTech (German) and it’s almost a certainty that the 11V and the SW5-173 found by Tebtech match up. As you can see from the image the design looks a lot better. We look forward to getting more information on the Switch 11V which, given the timescales, is likely to be formally launched at Computex in June. 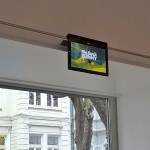 Maybe it will finally have a 16:10 aspect ratio. 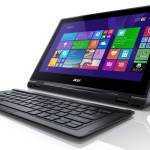 « Acer updates Aspire Switch 10 range for 2015.